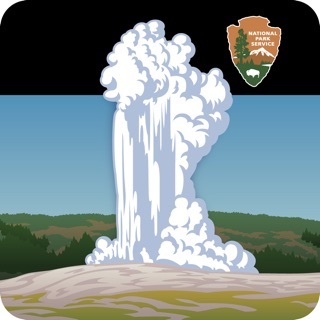 Use the official app from the National Park Service to find detailed information about visitor centers, important sites, places to stay and eat, and shopping and services throughout the park. 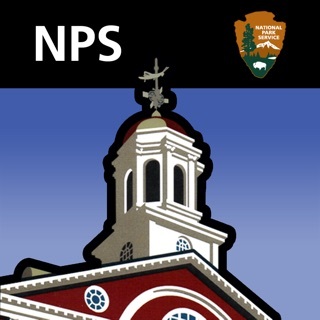 Learn about historic places and natural features. 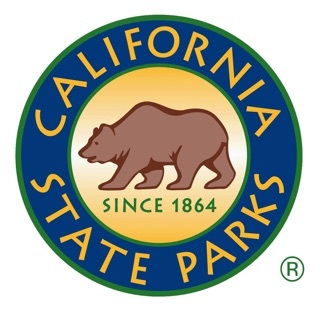 Map - Use the detailed park map to find sites, get directions and locate services. 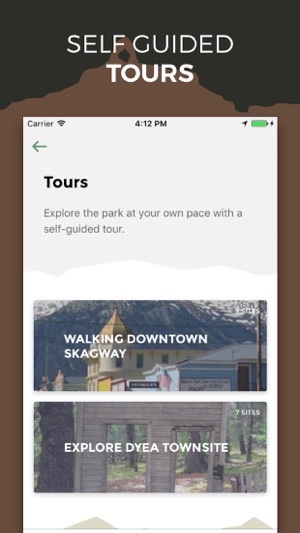 Download the content and map before you arrive to use the app everywhere. 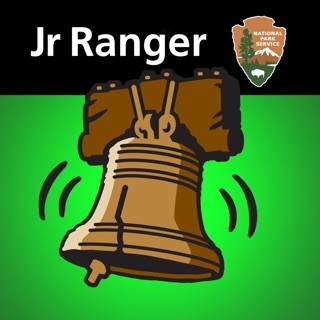 Calendar - Get up-to-date information from the National Park Service about what is happening at Klondike Gold Rush NHP, including ranger talks and activities. 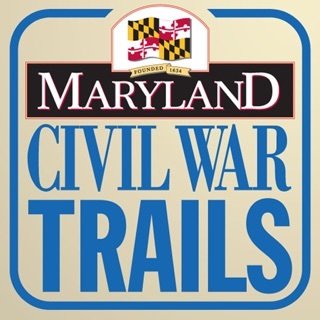 Tours - Discover rich natural and cultural resources with self-guided walking tours. 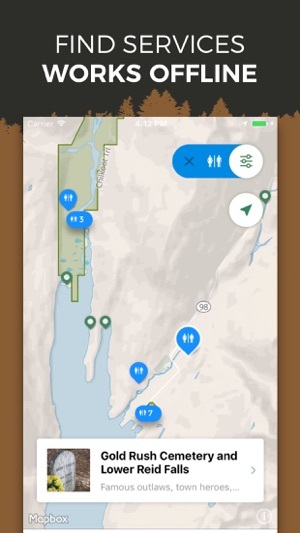 Accessibility - This app includes up-to-date accessibility information for facilities and some trails in the park, audio-described sites, and alternative text for images. 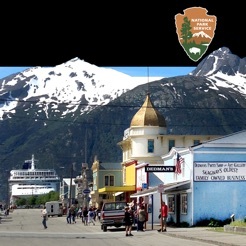 Explore Klondike Gold Rush National Historical Park, including downtown Skagway, Dyea Townsite, and the Klondike Highway. “Gold!” is what the headlines read in 1897, starting the Klondike Gold Rush. Thousands hoping to ease the woes of economic depression sold farms, dropped businesses, and boarded ships to follow their dreams north. 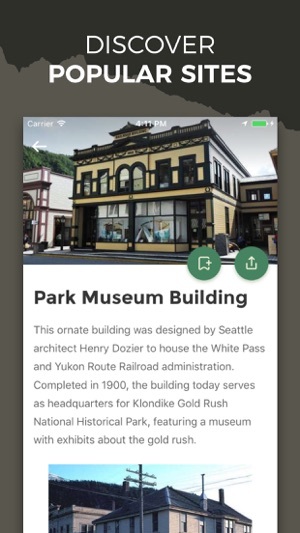 Today, Klondike Gold Rush National Historical Park commemorates the bravery of the stampeders who voyaged north by protecting the trails, historic boomtowns, and buildings of the Klondike Gold Rush era. Download the app before you arrive. 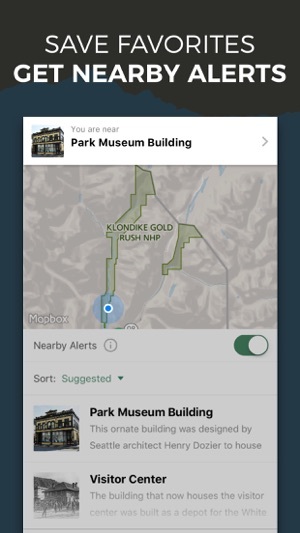 Cell service and Wi-Fi are limited at Klondike Gold Rush NHP. 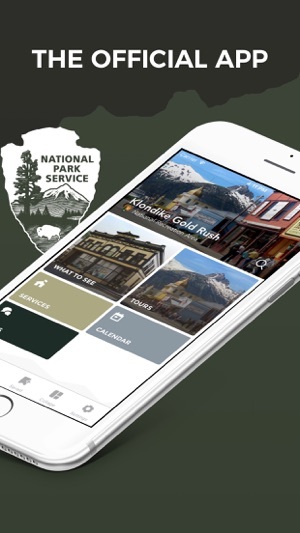 Enjoy the completely redesigned official National Park Service app for Klondike Gold Rush NHP. **Download the content and map before you arrive and use the guide everywhere.